Without any doubt Italy’s culinary soul is one – if not the – brightest in the world. Although most people certainly won’t primarily think of its liquid and alcoholic contribution, of course we owe Italy a lot of innovations also in this respect. Whether it’s the little things like a good Limoncello, numerous vermouths and grappas or the fascinating world of Amaros (Italian bitter liqueurs): Italy is a Lucullan paradise also for every bartender. So it is not surprising that of all countries in the world it was Italy where movements like the Futurism were founded which left a lasting impression to the Italian way of thinking about food and drinks (a tradition that also influenced the Roman Jerry Thomas Project). After so much adulation about Italy it will perhaps surprise you that today’s article is about a spirit that does not come from Italy at all. Rather we are dealing with a Bavarian in an Italian’s clothing. Because the Mondino is an Amaro Bavarese; Fatto a Mano! – Hai Capito? 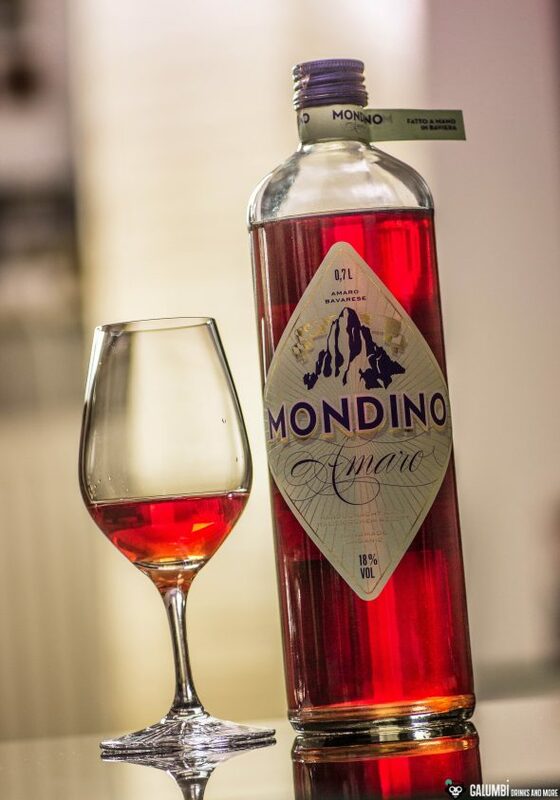 To bring a little bit more light into the darkness: The Mondino Amaro is an Italian-inspired Amaro that is made north of the Alps, although it is based on an Italian recipe. To be precise, it is created in Traunstein in the Chiemgau region in Southeast Upper Bavaria. There, the family distillery Schnitzer is located where the Mondino is produced and bottled. Hans Schnitzer, family member and master distiller, spent his apprenticeship in Italy and from there he also brought the recipe for a classic Amaro with him. He did not simply copy that recipe par for par but refined and varied it with local herbs. So it is completely justified to speak of a hand crafted (Italian: Fatto a Mano) Amaro Bavarese. Among the ingredients used inside is the root of the yellow gentian, which is native to the whole Alps region. 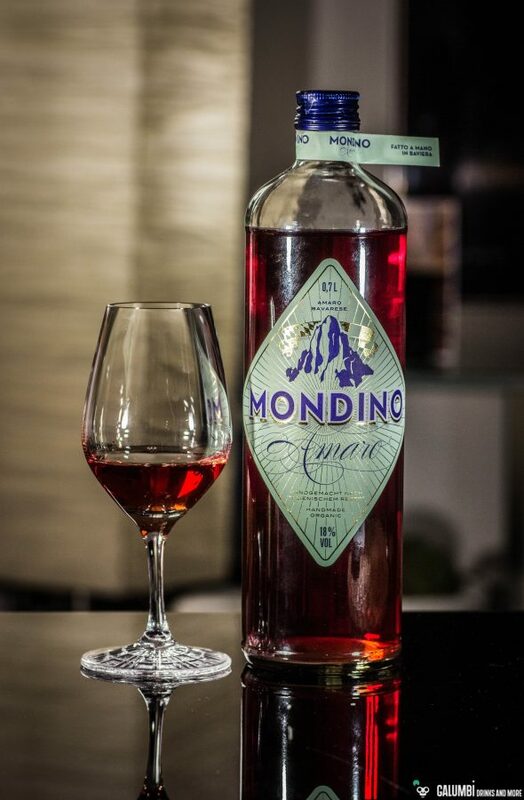 The manufacturer also names rhubarb from organic farming as one of the main ingredients, which bestows a tart-fresh taste upon the Mondino Amaro. Moreover there is the Italian bitter orange “Arancia Amara”. These or at least congeneric ingredients are also known from similar products, such as the world famous Amaros Campari or Aperol. Unlike these two, however, the family distillery Schnitzer uses no artificial colors and so the spirit is dyed exclusively with hibiscus flowers. A very praiseworthy decision if you ask me. Of course, it takes a little bit of the shining charisma away from the Mondino Amaro compared to similar other producers that very effectively promote their product in the mass media by for example letting women wear bright red dresses, but on the other hand it gains the allurement of a compelling handmade yet sophisticated regional product. Actually a much better trait, I think. It is said that the Mondino Amaro came to fame long before its introduction to the market in its home region: For several years it was not sold commercially but probably given to friends of the family and served on various occasions. But at the turn of 2014/2015 the Mondino Amaro Baverese entered the stage of the commercial spirits market. Personally, I literally became quite enthusiastic about this amaro as my tasting notes will hopefully show. Cin cin and Prosit! Aroma: On the nose the gentian root immediately reveals a deep bitterness that strikes a fully ripe and bitter orange. Even the rhubarb is noticeable and the flavors merge into a liaison of dried berries, some mint and hints of rose hip. In addition to that there are also traces of Christmas punch with spices like cloves and cinnamon. Taste: On the palate the Mondino Amaro initially shows its fruit tones with rich orange peel that is directly framed by a distinct but not too strong bitter note. As a half-bitter liqueur the Mondino Amaro is certainly not the bitterest representative of its kind, nonetheless it does make some points here. In the end it turns out fully aromatic in an almost summery light form. Finish: In the finish the bitterness of Mondino Amaro comes out the most. All in all I really like it very much. I think that it not really replaces its famous congeners but is more of an entirely new interpretation. One that must be referred to simply as marvelous. Whether as a cocktail ingredient or pure on ice: the Mondino Amaro Bavarese definitely has what it takes to become a true classic! 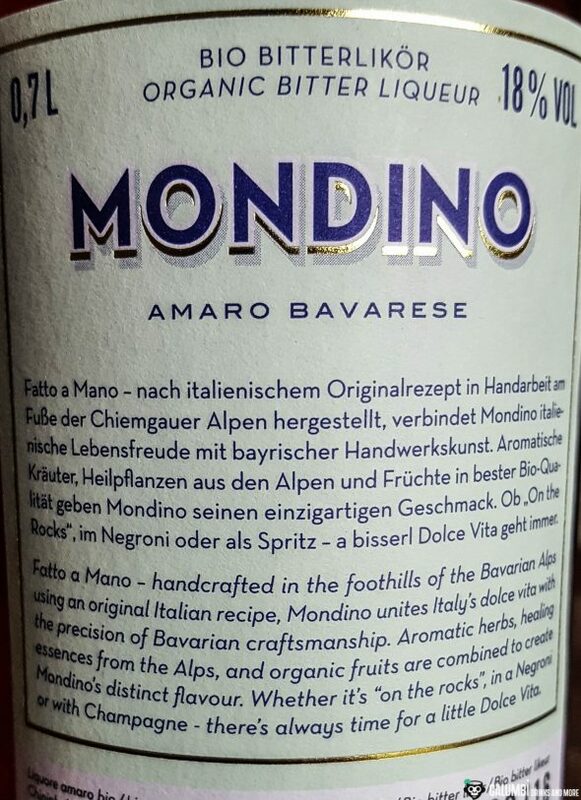 Buying sources: The Mondino Amaro ist bottled with 18% vol. and for about 20 Euros you’ll be able to get your hands on a bottle at specialized retailers or by ordering it online.